Water & Maintenance: Occasional watering is needed in the beginning to help establish the plant. With some initial care to settle in, after that it is a very low maintenance plant. 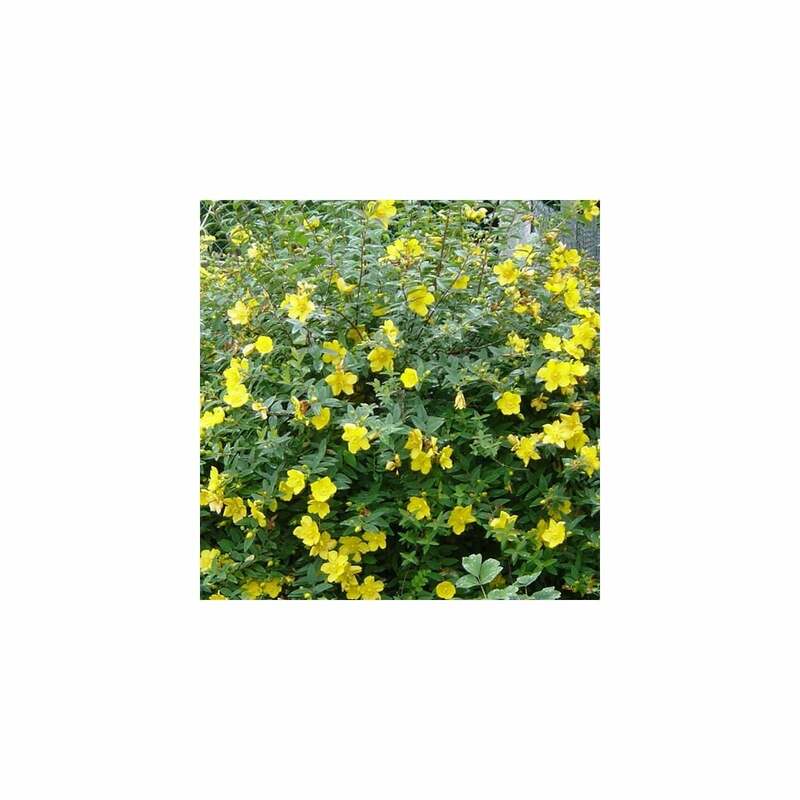 The “Hidcote” is a hardy, semi-evergreen shrub that will supply you with months of brightly coloured, yellow flowers during the summer and autumn months. It is a bushy plant with narrow, oval-shaped leaves. Pruning is best in the spring time after the frost and before any major growth occurs, although most of the time, this plant will only need pruning in order to adjust its dimensions or layout. The plant will adapt to various soil conditions, but they must be well-draining. It can tolerate direct sunlight, as well as, partial shade. Due to its hardiness, it can survive in exposed positions, although it should be sheltered in areas where strong winds are prevalent. St. John’s wort grows well as a ground cover due to its low maintenance. This means it is ideal for uneven landscaping areas like embankments and other slopes where you would like to add some color. It is also a good plant for rustic and more “natural” feeling garden settings. Another suggestion is using it for flower borders as it adds its own unique flowers to the mix. Excellent service and great shrub (Hypericum 'Hidcote' Semi-Evergreen Shrub). Small as expected but not dried up as with other postal suppliers and within a week the shrub has sprouted healthy new shoots. Very pleased and would recommend.